The Minister for Arts, Heritage, Regional, Rural and Gaeltacht Affairs, Heather Humphreys TD, was joined by the Minister of State for Regional Economic Development, Michael Ring, TD, to announce €20 million in funding for rural towns and villages as part of the Action Plan for Rural Development. The Ministers made the announcement at an event in the Tuar Ard Arts Centre, Moate, Co. Westmeath. Up to 300 towns and villages will benefit from funding under the 2017 Town and Village Renewal Scheme, which will be made available through Local Authorities over the next 15 months to support rural regeneration. The scheme is specifically targeted at rural towns and villages with populations of less than 10,000. 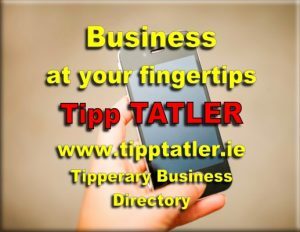 Applications from towns can range from €20,000 to a maximum of €100,000. Funding of up to €200,000 will also be considered for a limited number of projects which can deliver exceptionally strong economic benefit to a town and its outlying areas. “I warmly welcome the launch of the 2017 Town and Village Renewal Scheme which will provide further significant support to rural Ireland, following on from the 2017 CLÁR programme and the Tidy Towns competition, which I launched recently. 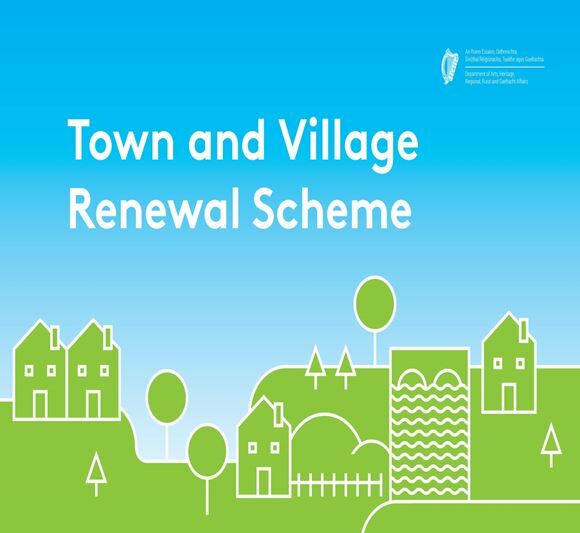 The Town and Village Renewal Scheme is an initiative under the Government’s Action Plan for Rural Development, Realising our Rural Potential, and is part of a package of national and local support measures to rejuvenate rural towns and villages throughout Ireland. The Scheme will be funded by the Department of Arts, Heritage, Regional, Rural and Gaeltacht Affairs and administered by the Local Authorities. Total funding of €20 million will be allocated to up to 300 towns and villages this year. Selection of projects will be by means of a competitive process, initially at Local Authority level, with the final project selection being made by the Department of Arts, Heritage, Regional, Rural and Gaeltacht Affairs. Local Authorities will be required to advertise for expressions of interest from towns/villages in their area before the end of April and will select up to 15 proposals for development into detailed applications to be submitted to the Department by the end of June. The final project selection will be made in July by the Department of Arts, Heritage, Regional, Rural and Gaeltacht Affairs. Successful projects will be expected to commence immediately and can run up to mid-2018. Successful proposals will demonstrate close collaboration between communities and business interests in the design and delivery of proposed projects and must have the support of the Local Authority. Projects which have clear positive economic impacts on the town/village or which stimulate economic activity between a town/village and its neighbouring townlands will be particularly welcome, as will projects which demonstrate leveraging of, or linkages with, other schemes operated by Government Departments or agencies (e.g. in the areas of heritage, arts, culture, tourism, tidy towns, recreational facilities, re-use of vacant premises, vacant sites, energy efficiency schemes, etc.). Up to 80% of the total cost of a project under the Town and Village Renewal Scheme will be provided for any individual project. 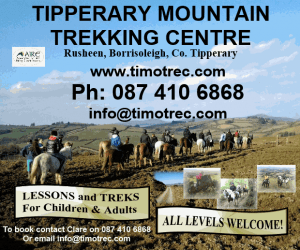 The minimum grant which is available is €20,000 and the maximum is €100,000. A higher maximum of €200,000 will be considered for a limited number of projects where a strong case can be made demonstrating exceptionally strong economic benefit to a town and/or its outlying areas. Local Authorities may seek further optional funding of up to €20,000 in total for art works to enhance public spaces, as part of one or more project proposals submitted in respect of their area. It will be a matter for each Local Authority to commission and choose the works to be funded, ideally with an emphasis on participation by local artists. Minister Humphreys will separately launch a pilot initiative under the Town and Village Renewal Scheme in the second half of 2017 to encourage residential occupancy in rural towns and villages. Complementary initiatives which can help support the rejuvenation of rural towns and villages include the Built Heritage Investment Scheme, the Structures at Risk Fund, capital grants for local arts and cultural centres, SEAI energy efficiency grants for homes and communities, Local Authority Business Incentive Schemes, Shop Front Improvement schemes, Repair and Lease scheme, Tidy Towns competition, Purple Flag initiative, etc.